Amar Lewis has joined the Brightlingsea Regent Football Club which is an English football club based in Brightlingsea, Essex who play in the Isthmian League. Lewis is a central midfielder or wide player who last season played for Stowmarket Town in the Thurlow Premier Division where he made 36 appearances scoring 8 goals. 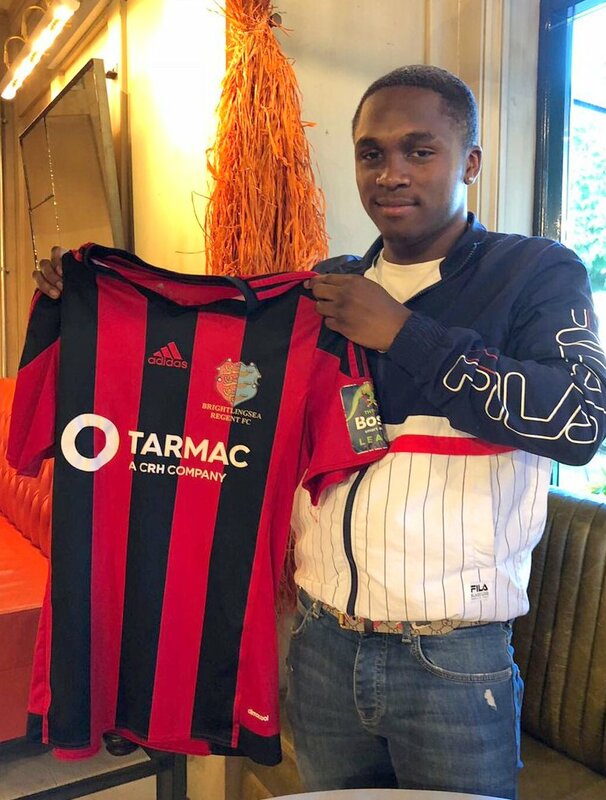 Regent Boss Tom Rothery had this to say of Lewis, “Amar is another young player with a good pedigree, he was scouted by West Ham and Chelsea when playing in Bermuda and has also spent time with Barnet since moving to England. He had a good season at Stowmarket last season and is a very energetic midfielder who again can play a number of positions so I think he will add more competition to the squad and coming up to 20 years of age he’s another player that hopefully we can mould and develop. With the Lewis signing that’s pretty much all the business done now with one academy player still to announce and a few players coming back in pre-season it’s good to get it done early so we can concentrate now on the upcoming season and I’m happy with what we’ve been able to do”.